Over the past few months, I have spent many hours thinking about what kind of experience I want my students to have in my classroom. I’ve developed curriculum with specific academic and life outcomes in mind, I’ve set expectations and procedures in the hope of optimizing the student learning experience, and I’ve created new games to add a higher level of academic value and engagement to my lesson plans. But as the first day of school fast approaches, what I am most focused on is setting my intention and purpose for my work as a middle school health and P.E. teacher. 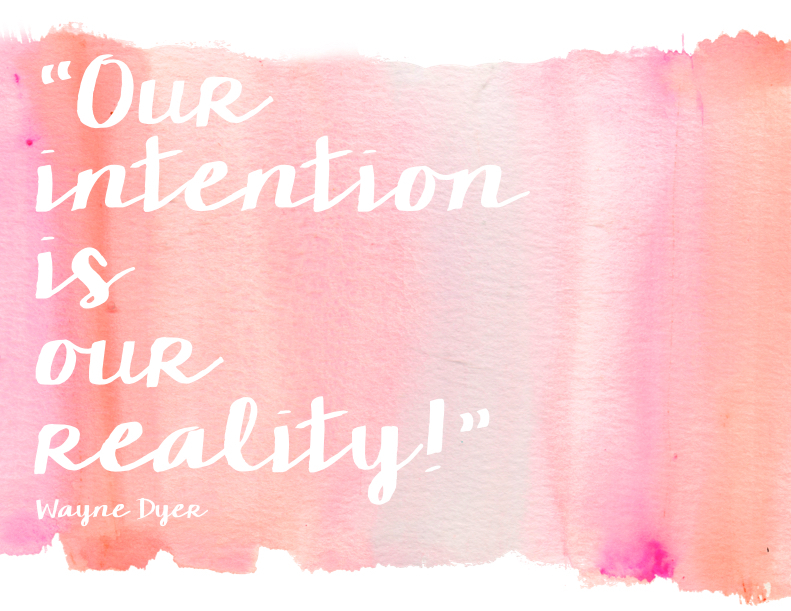 During the past few years, I have gotten in the habit of asking my students to set their intention at the beginning of class. I have adopted this practice not as a way to bring a new-agey mentality into my classroom, but rather as a way to train my students to be intentional with their actions and choices. As summer quickly comes to an end and I finish my final back-to-school preparations, I find myself pausing for a moment to set my intention for this school year. This poster proudly hangs front and center in my classroom to serve as a constant reminder to be an intentional teacher! ***And I must give a huge shout out to Angie Makes for the free ombre watercolor backgrounds! Just found your blog and this looks amazing! I run a teacher wellness organization in Oakland, CA where we offer 1-1 Mindful Mentoring, PD and Yoga Classes for Educators on School Sites. Would love to connect with you about what you offer and your experience. If you are interested, Reach out! Thank you for connecting with me! I would love to learn more about what you do! It sounds so interesting. I’d love to chat. Here’s my email: [email protected].